If you need to modify any of the assigned Preference defined for a user, you may do so via the User Editor. 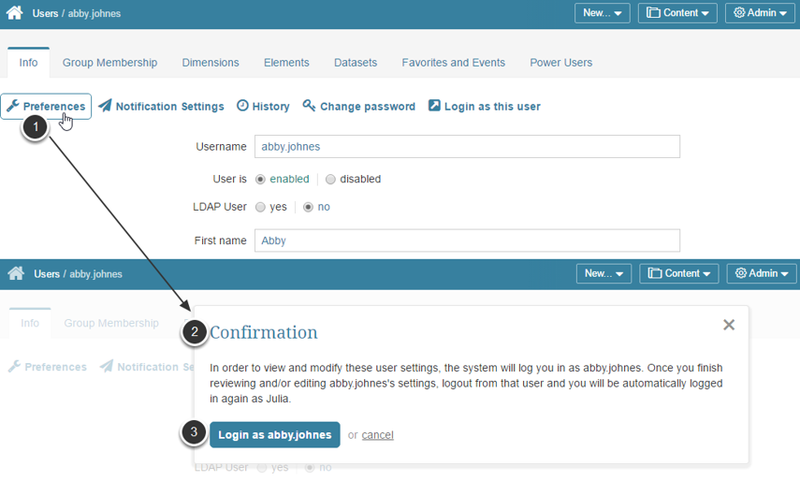 To view and modify settings of another User, the system will offer you to log in as this User. The process of setting User Preferences is identical to the process used to modify your own Preferences, so if you need help with that, please refer to The Preference Editor Overview. Select a User from the list. The User Editor opens. The User's Preferences Editor opens. The system logs you back to your own account.